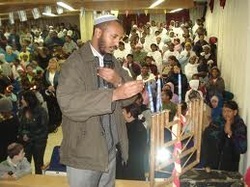 Money raised by the Committee for Ethiopian Jews in Safed goes towards school fees, university scholarships, purchase of basic household appliances, household repairs, medical and dental care, eyeglasses, interest-free loans and much more -- vital expenses which are not covered by any other form of aid and which the immigrants cannot afford. The Committee operates with no overheads -- all activities are undertaken by volunteers. You can help! You can donate to the Committee which determines, first-hand, the most most urgent cases and ensures that these needs are met. If you live in Safed you can join the bottle campaign (see below) in which bottles are collected throughout the city for deposits (all by volunteers) and the money is used for the allocations. To: P.E.F. Israel Endowment Funds, Inc. Enclosed is my contribution of $ ____________________* with a recommendation to your trustees that it be used for The Committee for Ethiopian Jews in Safed, Anilewicz 5, 1340003 Safed, Israel. * Gifts are US tax deductible if of at least $25 and made payable to P.E.F. Israel Endowment Funds, Inc.
send a check to Israel Endowment Funds -- P.E.F. make an on-line donation at Israel Gives. Israel donors can send a check to us by post (address given in P.E.F. form below), or can deposit a check directly in our account: Bank Leumi (10), Branch 975, a/c 2814303. Please notify us that a payment has been made or can make an on-line donation at Israel Gives. Can We Reach 110,000 in 2017? 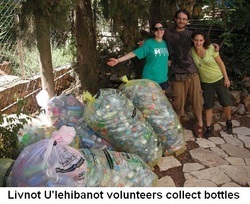 For the last seven years the Committee for Ethiopian Jews in Safed has been recycling cans and bottles, with the deposit money recovered going to our various activities. You can read about some of them in our latest newsletter. Recycling covers about 14% of the Committee's total income from all sources (including interest-free loan repayments). In 2016 the Committee recycled over 100,000 cans and bottles.